O. B. Scott married George Fred Charles Houghton, son of Giles Eldrige Houghton and Lucinda M. Gallimore, w/1. Florence Hassel married George Fred Charles Houghton, son of Giles Eldrige Houghton and Lucinda M. Gallimore, in Nov 8, 1899 w/2. George D. Woods married Vietta Bloudine Houghton, daughter of Giles Eldrige Houghton and Lucinda M. Gallimore, in Sep 4, 1894 at Mancos, CO, USA. Clarissa Houghton married William Abbey. Hollis G. Houghton married Sarah Boules w/1. 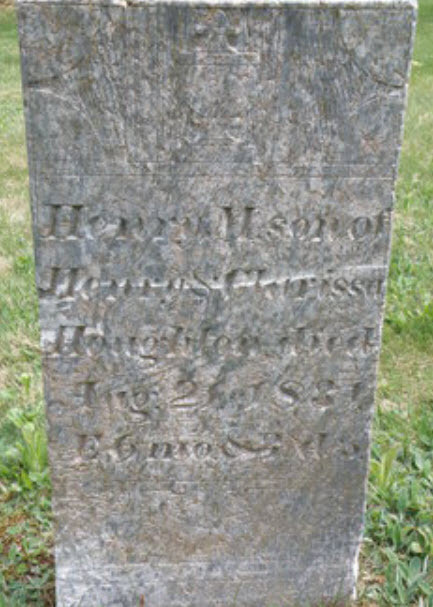 Hollis G. Houghton married Aurilla Cross w/2. Lucius Lycurgus Houghton married Catherine Maria Roberts in Oct 24, 1843. His second marriage was to Amelia J. Bless mar "44" years in 1900 census on Jul 1, 1869 at Jackson, Jackson Co., MI, USA. William Abbey married Clarissa Houghton, daughter of Edward Houghton and Cena Spaulding. Sarah Boules married Hollis G. Houghton, son of Edward Houghton and Cena Spaulding, w/1. 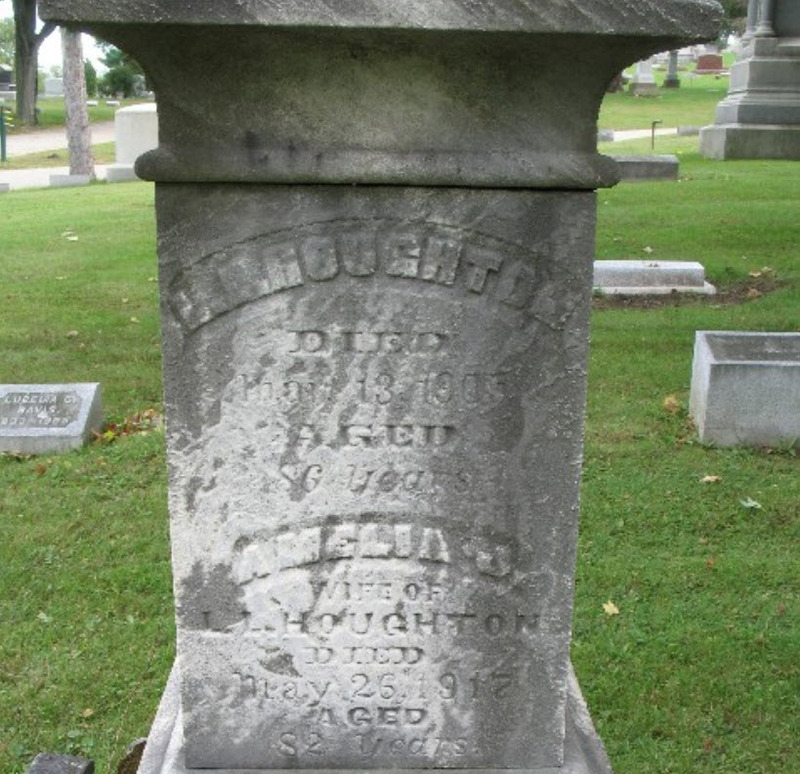 Aurilla Cross married Hollis G. Houghton, son of Edward Houghton and Cena Spaulding, w/2. Catherine Maria Roberts married Lucius Lycurgus Houghton, son of Edward Houghton and Cena Spaulding, in Oct 24, 1843. Her second marriage was to Lucius Lycurgus Houghton mar "44" years in 1900 census on Jul 1, 1869 at Jackson, Jackson Co., MI, USA. Phoebe Melissa Houghton married Lemuel French in Jan 8, 1850. I hive my spirit to thy hand." 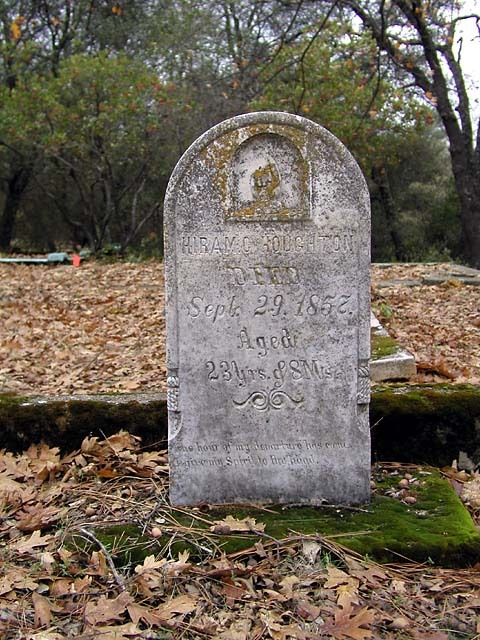 Betsey Stickney Houghton married Isaac Stackpole in Sep 10, 1855 at El Dorado Co., CA, USA. Henry Mier Houghton married Sarah Abigail Gardner in May 18, 1869 at Pekin, Park Co., WA, USA, MLM: May 18, 1860; mar 32 years in 1900 census. Hannah Lucinda Houghton married Alexander Kelly w/2. Lafayette E. Houghton married Margarette Agnes Robinson in Oct 25, 1886 Mrs. Margaret Smalling. 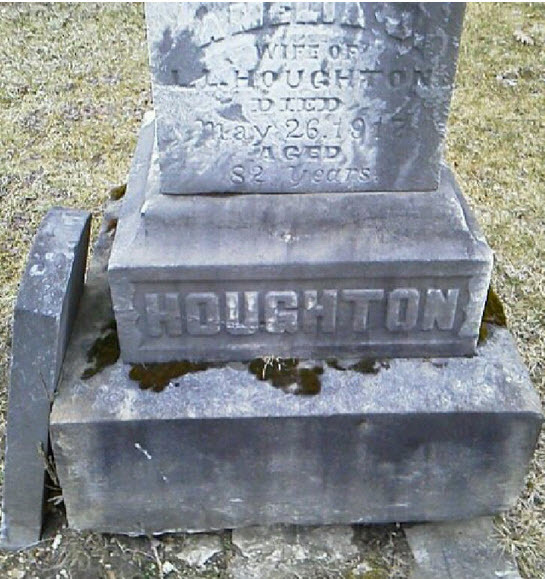 Henrietta Eliza Houghton married Daniel Francis Stafford in Mar 1, 1869. 1920 Census 1920 Walluski, Clatsop Co., CA, USA, age 53, Home and Hospital Co.
Elmsley H. Houghton married Risie E. Loomis in Dec, 1883. Elmsley H. Houghton married Anna J. (?) in circa 1917 age 54 and 33. Lemuel French married Phoebe Melissa Houghton, daughter of Henry Bartlett Houghton and Clarissa Cross Townsend, in Jan 8, 1850. Isaac Stackpole married Betsey Stickney Houghton, daughter of Henry Bartlett Houghton and Clarissa Cross Townsend, in Sep 10, 1855 at El Dorado Co., CA, USA. Sarah Abigail Gardner married Henry Mier Houghton, son of Henry Bartlett Houghton and Clarissa Cross Townsend, in May 18, 1869 at Pekin, Park Co., WA, USA, MLM: May 18, 1860; mar 32 years in 1900 census. George White married Hannah Lucinda Houghton, daughter of Henry Bartlett Houghton and Clarissa Cross Townsend, in May 18, 1861. Alexander Kelly married Hannah Lucinda Houghton, daughter of Henry Bartlett Houghton and Clarissa Cross Townsend, w/2. Margarette Agnes Robinson married Lafayette E. Houghton, son of Henry Bartlett Houghton and Clarissa Cross Townsend, in Oct 25, 1886 Mrs. Margaret Smalling. Daniel Francis Stafford married Henrietta Eliza Houghton, daughter of Henry Bartlett Houghton and Clarissa Cross Townsend, in Mar 1, 1869.